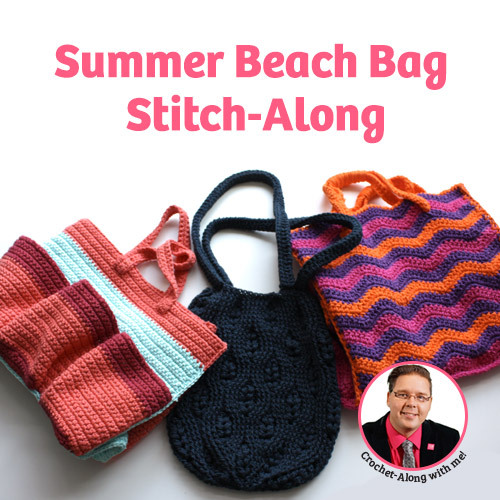 Yarnspirations has asked Mikey to host three Summer Beach Bag Tutorials. We went on the search and found three bags that we really liked. Each of the bags has a different purpose. Starting from the left, we thought that would be an amazing project WIPS bag. Middle bag is definitely a great one for the market. Finally, the 3rd bag is an over sized beach bag. Links to the bag patterns are already available for you to get if you want a preview. The colours seen in our pics were done by our very own Diva Dan. 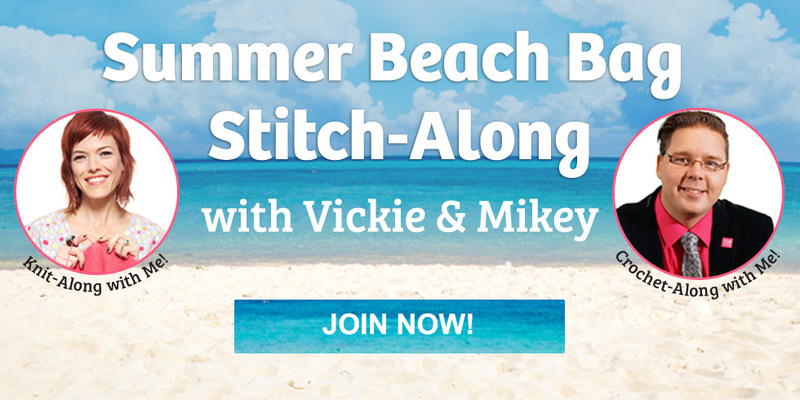 The Stitch-Along begins June 29, 2015. Though the pic is small, each of these bags are a decent and practical size. To go a step further. We thought knitters would like to play along. 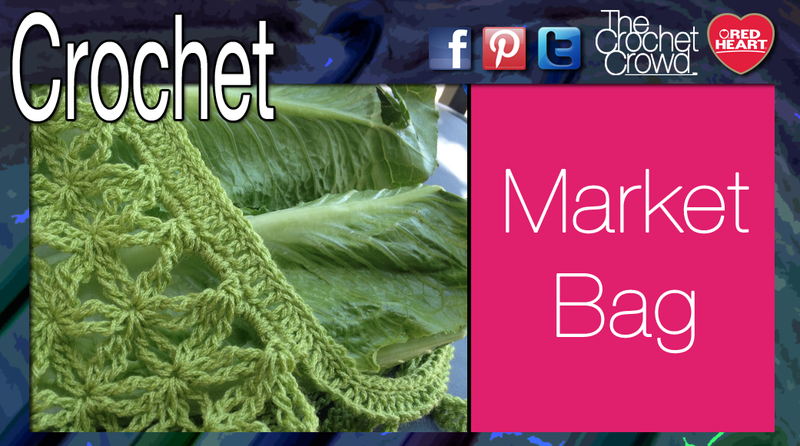 Vickie Howell, Yarnspirations Spokesperson, will be hosting a stitch-along with knitted bags. She will have three different bags. To spice it up a bit more, there are prizes for each one of the bags. However, they have sweetened the pot if you do all three of the bags. Please read the rules and regulations for this challenge as there are prize giveaways involved. There are some restrictions in place due to International Laws. Do you want to play along? It’s free to participate. Click join now below to get more details. 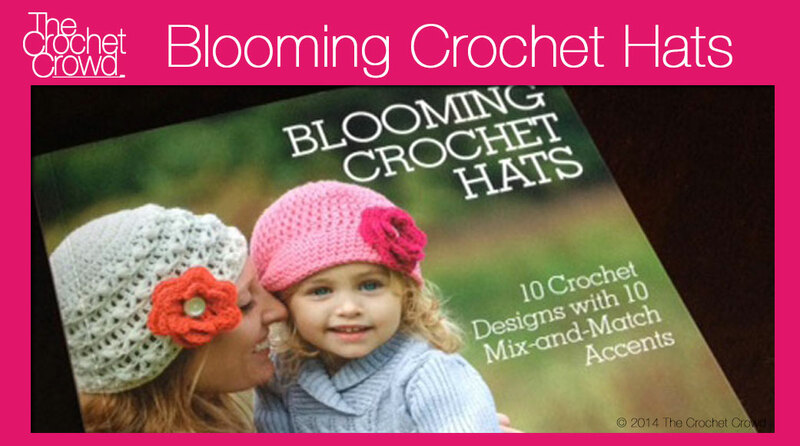 Patterns and video tutorials will be provided for both the Crochet and Knit Stitch-Alongs. Please note this is a Yarnspirations Challenge. Photo submissions need to be processed through Yarnspirations and not The Crochet Crowd. When you have completed, simply re-visit Yarnspirations to get more information on how to submit. Hi, love, love , love what you do. I am a Quebecer and quite used to the fact that we cannot enter contests, but can I not submit my project? I sent an email with pictures of my completed Garden Bag, which took me forever to complete due to osteoarthritis in my hands, and the email came back. I just was so proud of it that I wanted to share. Thanks for all you do. I would keep going. If you are confident that you are following the pattern, you probably just need to go a step further. The Pattern for the knitted market bag is not right. row 6 is not right. You can contact Yarnspirations through their website to inform them. They are open to issues like this. Can you use other yarns or are you only allowed to use Lily sugar and cream? I am really disappointed that this is not open internationally. We don’t have this sort of thing in Australia and have to rely on overseas groups such as yourselves and companies like Yarnspirations to be able to participate in challenges. There are so many people in the big wide world who would like to showcase what they make in challenges, just to boost their confidence and feel part of something. I would like you to share a tutorial on how to crochet new born props for taking pictures. Hello Barbara, I have recently struggled with these as well. I found a couple easy patterns for free that really helped me get the hang of these. The best one I found is “Lace Topper”. It is a free pattern from RedHeart.com. It works as a single piece and the pattern is very simple to follow. Also there are a few links on Pinterest with how to’s and video tutorials that are great for getting a feel for this. I hope this helps! get error when trying to join, do I need to wait until 6/29 or after?